RW Delights’ private label program is designed to help you build customer loyalty by offering high quality, all-natural, individual desserts to your shoppers under your brand. Our products are made with only the finest ingredients and are designed for customers to Open, Bake & Serve. Desserts are shipped frozen in individual 4 oz ceramic ramekins. Break out of the mold and offer your customers new and unique desserts under the name they already know and trust. We will work with you on packaging to fit your specific needs. 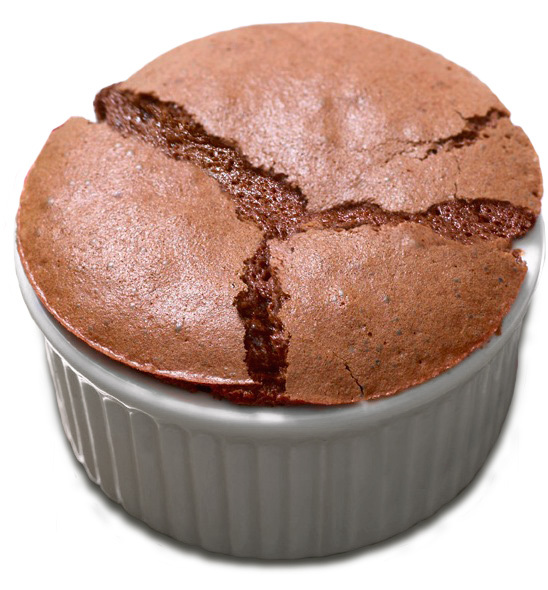 We currently offer soufflés in chocolate, chocolate mint, pumpkin, and crème brulee. All of our products are all-natural and trans fat free. If you would like additional information on our dessert products, please email info@heavenlysouffle.com or call Roxanne Kam 718-683-1038. "Just wanted to let you know that we received our soufflés in time for our party and they were a huge hit! Thanks for a great product!"